50% off pre-retooling stock while supplies last! 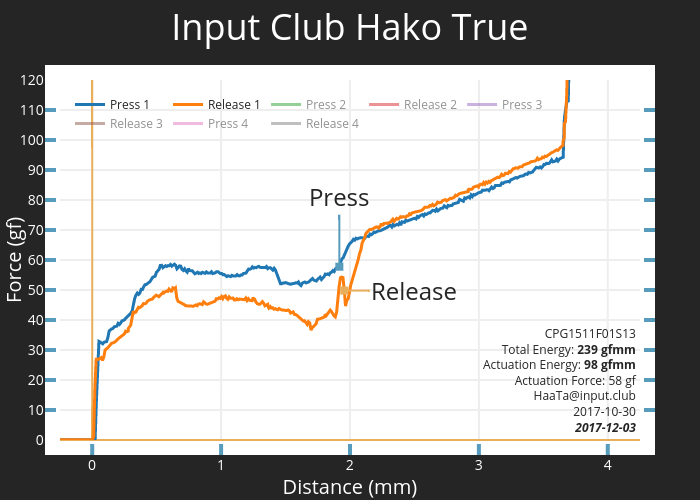 The Hako Switch Family, invented by Input Club, embraces the keypress smoothness of Topre with the engineering rigor of Kaihua Box switch architecture. Compatibility Note: pre-retooling Box switches may cause cracking in certain aftermarket ABS keycap sets — notably those from GMK. PBT / POM keycaps will not crack, but they may experience stretching. Internal testing indicates that the cracking / stretching does not affect GMK / aftermarket sets universally, so yours may fit correctly on Box switches. We recommend testing a spare keycap on your Box switches for at least two weeks, then performing a visual inspection / fitment test on Cherry MX switches, before applying the entire set. Using entirely new switch molds, Hako switches have virtually no wobble and maintain a lifespan 25% longer than Cherry-style switches. They utilize a bespoke slider designed by community enthusiasts Jacob Alexander (HaaTa) and Brandon Muzzin (Over^Kill). The spring selected for Hako True is a unique short spring mathematically selected to add a very light pre-load to the beginning of the press. The newly created spring for the Hako Clear is the union of the popular Topre 55g and Cherry MX Clear. 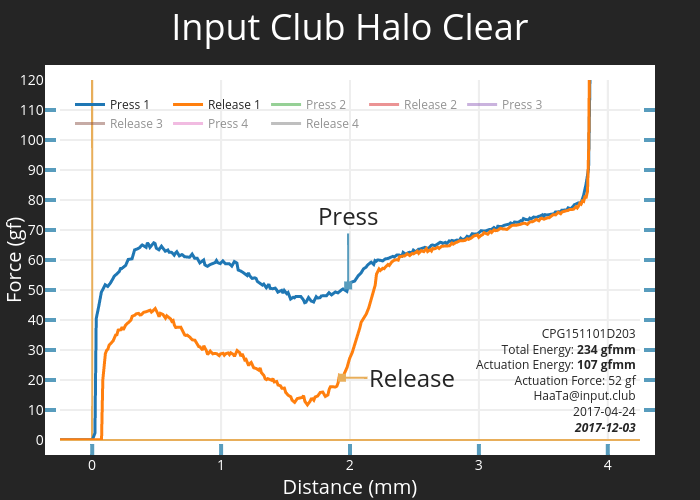 Both switches increase in weight dramatically toward the end of each press, discouraging bottom-out. Box switches use a new box-like slider design that provides superior protection from liquids when paired with the angled drain vents in the base of the key to help force out moisture and dust. Rated for 80 million presses, these switches are extremely durable and make use of a plastic slider on a plastic half-cylinder pin actuation method that increases the lifespan well beyond Cherry-style switches.